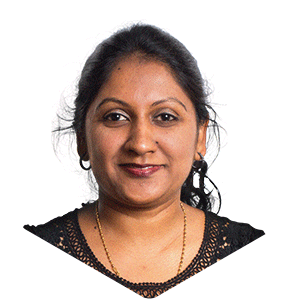 With 18 years of book-keeping, payroll and management accounting experience in industries ranging from freight shipping, automotive and e-commerce, Anju looks after the finances of groupH. Prior to joining groupH most of Anju’s experience was in the construction sector, joining as an Accounts Assistant and working her way up to Finance Manager. As well as fulfilling the accounting role she handled many of the HR aspects for the construction company. An AAT qualified Accounting Technician, completed whilst in full-time work, Anju has in-depth experience of the accounting function and the role it plays in support of business operations. A penchant for figures, organised and detail oriented, Anju likes to keep on top of the numbers. She cherishes her role in supporting the operational aspects of groupH. As a Mum of two young boys, Anju juggles the role at groupH with the usual challenges of family life. When not on the school run or taxiing the boys to extracurricular activities, Anju likes to burn off excess energy at the gym, and spend time in a yoga class to find some calm in an otherwise hectic day!